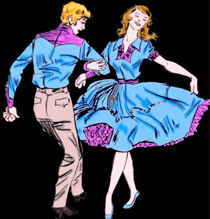 Adoption of the square dance as the official state folk dance of Connecticut was drafted by the Connecticut House Joint Committee on Commerce in February 1995. House Bill No. 5154, co-sponsored by Michael Jarjura, Joan Hartley, Claire Sauer and Stephen Somma was introduced for the sole purpose of generating tourist revenue rather than being related to a particular folk art of Connecticut. AN ACT MAKING SQUARE DANCING THE OFFICIAL FOLK DANCE. 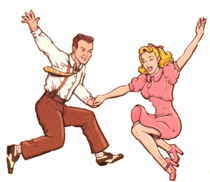 (NEW) The square dance shall be the state folk dance. 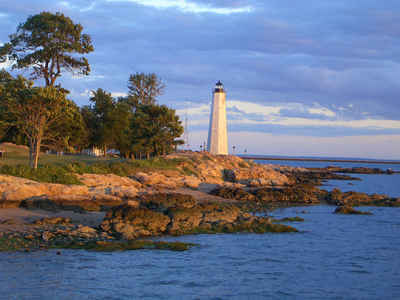 STATEMENT OF PURPOSE: To increase state revenue from tourism. Square Dance Convention for the second year in a row. Co-Sponsors: REP. JARJURA, 74th DIST. ; REP. HARTLEY, 73rd DIST. REP. SAUER, 36th DIST. ; SEN. SOMMA, 16th DIST. 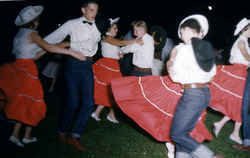 The law designating the square dance as the official Connecticut state folk dance is found in the Connecticut General Statutes, Title 3, Chapter 32, Section 3-110k. SECTION 3-110k. State Folk Dance. Sec. 3-110k. State folk dance. The square dance shall be the state folk dance.